The JR McKenzie Trust is an incredible charitable Trust set up in 1940 by Sir John McKenzie, and continued by his family. It has a 70-year history of helping to build stronger communities. Janet has been fortunate to have managed two significant projects for the Trust - See Here, and the Peter McKenzie Project. "Janet got her head around a complex task very quickly, and produced a cogent and convincing report that not only gave us a clear direction, but also assured us that we had been right to choose her. Her high quality analysis, relationship and communication skills, and passion to contribute to positive social causes were all evident..."
"The professionalism, care, integrity and insight that Janet brings allowed us to make strong, informed decisions. Her organisation and preparation skills are superb but her greatest contribution is linked to her ability to focus on the kaupapa and seek collective outcomes that will support transformative change." The Hearing House is a charity for deaf children and their families. It's mission is to enable deaf or hearing impaired children to listen and speak like their hearing peers. 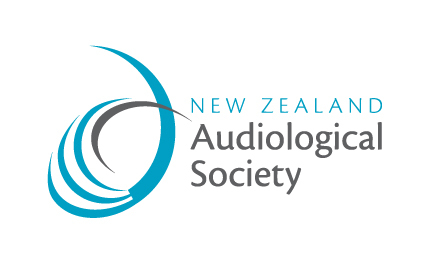 Janet has worked with the New Zealand Audiological Society since 2004, including designing and running their membership surveys. The New Zealand Deafness Notification Database collects information about the number and characteristics of newly diagnosed hearing losses among children and young people. This original database operated from 1982-2005 but in 2006 no data was being collected. In 2009, Janet restarted the database, with the support of the Audiological Society, designing a new online approach for collecting notifications, and now this database is again being supported by the Ministry of Health. The purpose of this project was to advocate for the establishment of a nationwide programme which would screen babies for hearing loss. This programme was implemented around the country from 2008, including all district health boards by 2012. Janet managed Project HIEDI from 2002 to 2011. "I am extraordinarily satisfied with the work Janet has provided. The quality is very high…and I would not hesitate for a millisecond to recommend her for any project management position." — Professor Peter Thorne, Audiology, School of Population Health, University of Auckland. Janet worked with the Trust for five years, managing contracts with service providers and working on long term cost models. In addition to doing much of her work in the non-profit sector, Janet also works with a small number of clients on a pro-bono basis - to acknowledge the importance of giving back to the community. In recent years this has included work for Radio Lollipop and the Devonport Peninsular Precincts Society.